You must make reservations at least 5 minutes in advance of the time at The Melting Pot - Pensacola. From rehearsal dinners to birthdays to office parties. The Melting Pot is the perfect place to host your next event. Fondue easily entertains groups big and small. Plus, it’s so easy to relax and connect over delicious melted cheese, quality entrees and premium chocolate. 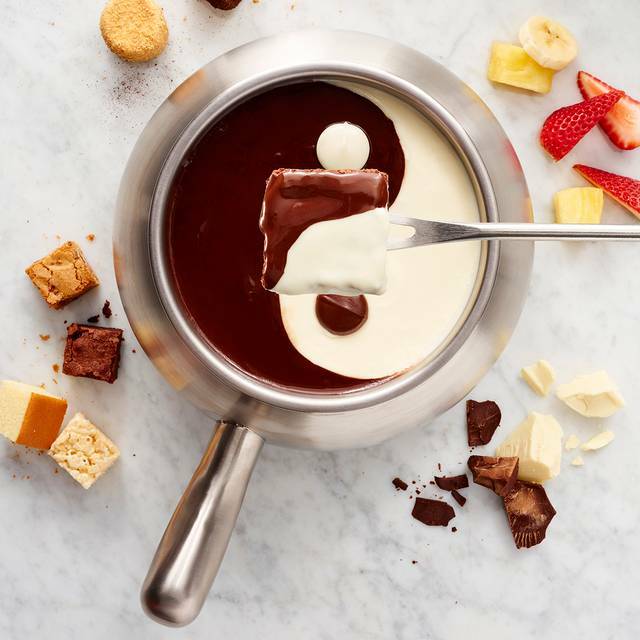 Jazz up your dinner tonight when you bring your friends and family to The Melting Pot in Pensacola, Florida. 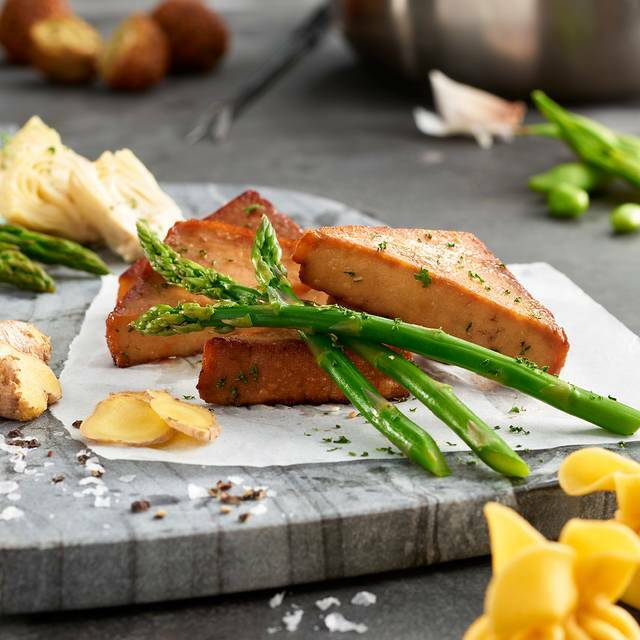 From savory artisan cheeses seasoned to perfection and freshly made salads with signature dressings, we start your meal off right. 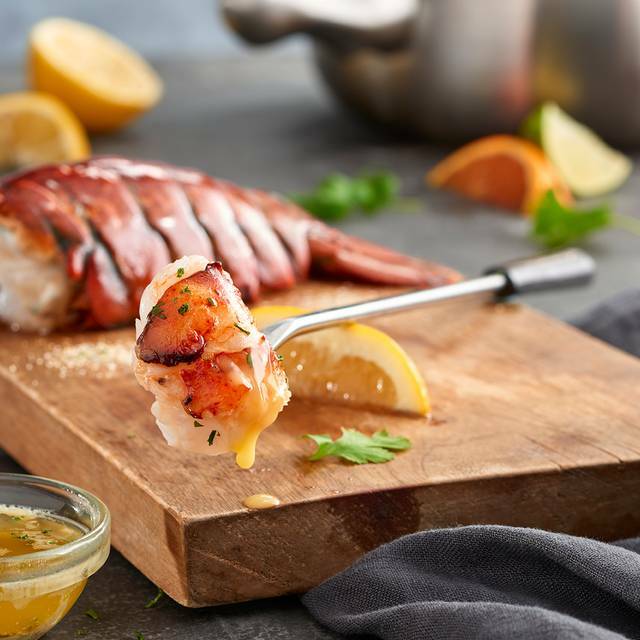 Once you’ve enjoyed your starters, you can choose from a customizable entrée selection that includes succulent shrimp, cold-water lobster, and filet mignon. 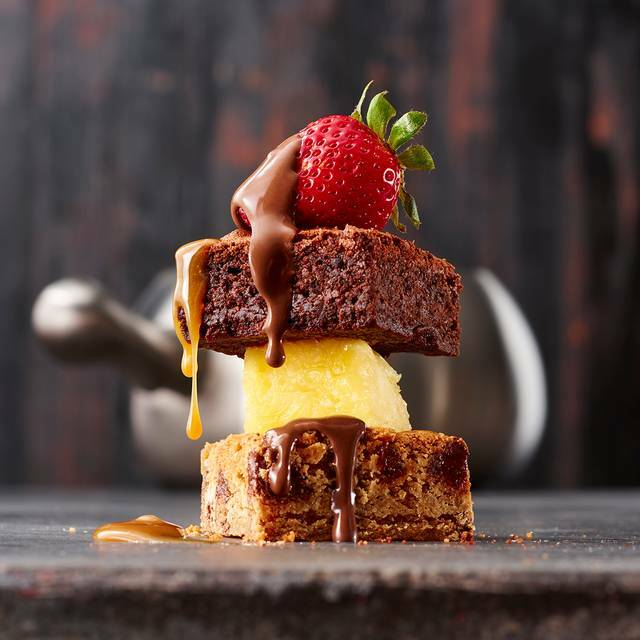 The perfect ending to any meal, no matter how many courses, is the dessert! 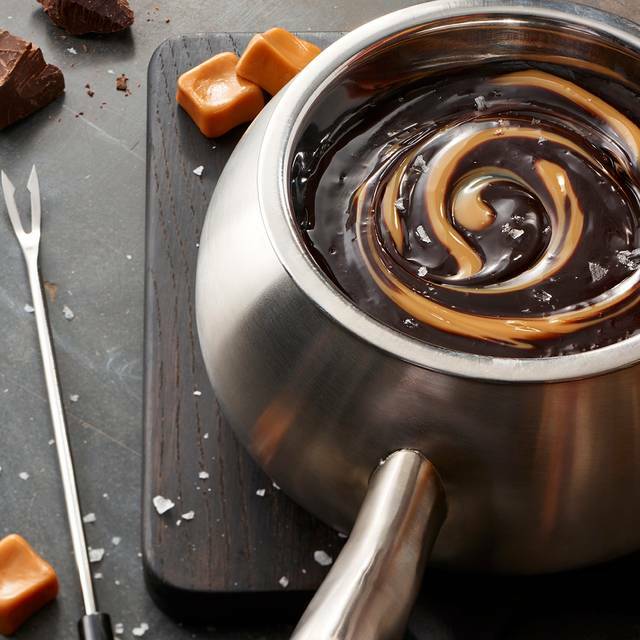 At The Melting Pot, we offer nine different choices of decadent chocolates. In addition to our delicious fondue and salads, we offer several craft beers, award-winning wines, and handmade cocktails. Our unique dining experience is great for any day of the week. Join us for a romantic night out, celebrating something special or just because! 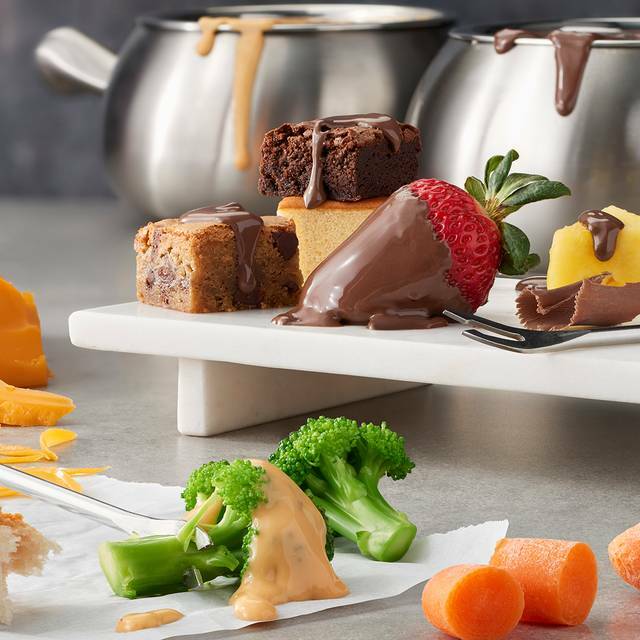 The Melting Pot will open early at 10AM on Easter and Mother's Day! Join us for a special Prix Fixe menu for only $39.95 per person! We are extending our hours and will be open from 10am-9pm on Mothers Day! Credit Card will be required to secure your reservation. Dont forget to add on Seasonal Flower boquets! Cute and fun experience. The front staff, waiters, and bussers were super friendly and quick. Manager came and spoke to everyone in our section, but conveniently passed over our table. Strange. Food was good. 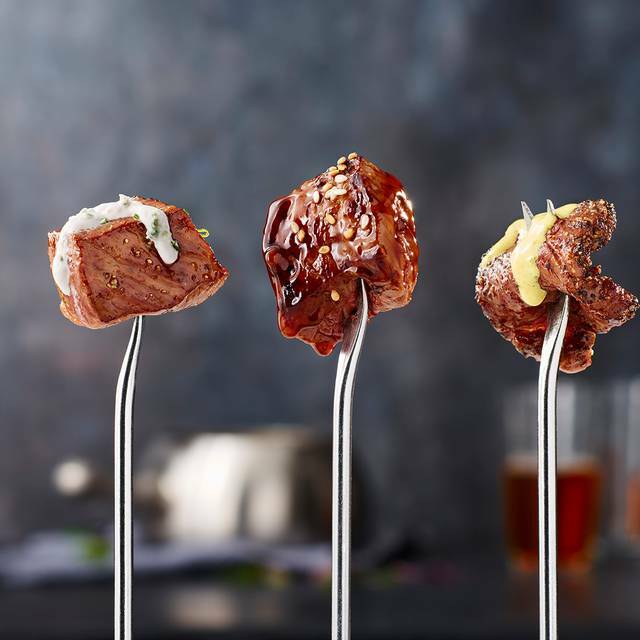 Meats were fresh and sliced for a perfect tender bite. Each course may seem small but it is very filling. Decor could have been better. Floors could have been cleaner. I won't judge them too harshly for that because it was Easter Sunday. Overall a nice dinner out. It was a bit pricey for finger food, but I guess it's more about the draw of fondue. It'll be a toss up whether I'll return or not. I would but our last few visits were not anywhere near our previous. Service dragged, this time the salads were wilted. It was my first time dining at The Melting Pot. I had a million questions. Our waiter was great. He answered everything so well and helped us customize everything for us. We enjoyed the entire experience. I made reservations for my son's birthday and called ahead to request a 4 burner table. We were seated at a 2 burner table and when I mentioned we had requested a 4bt, the hostess protested and was visibly irritated with having to seat us somewhere else. The 4 course meal is listed as "endless" but you have to request it and they serve it reluctantly. We waited 20 minutes at a table that had already been cleared for our check/payment to be picked up and finally just went up front to pay it ourselves. But, the worst part of the evening was this: I ordered a $30 bottle of Pinot Grigio and was accidentally served the $42 bottle. I brought it to the server's (Lina) attention and she left to get the manager (Aaron). I'm not sure what she told him but it was obviously a lie. He blamed me for the mistake!! He stated that the server always displays the bottle first (she did not!) and then he took, not only the bottle, but the glass of wine I was drinking away from me!! I was shocked and humiliated in front of my family on my son's birthday. How he landed a management position is beyond me. 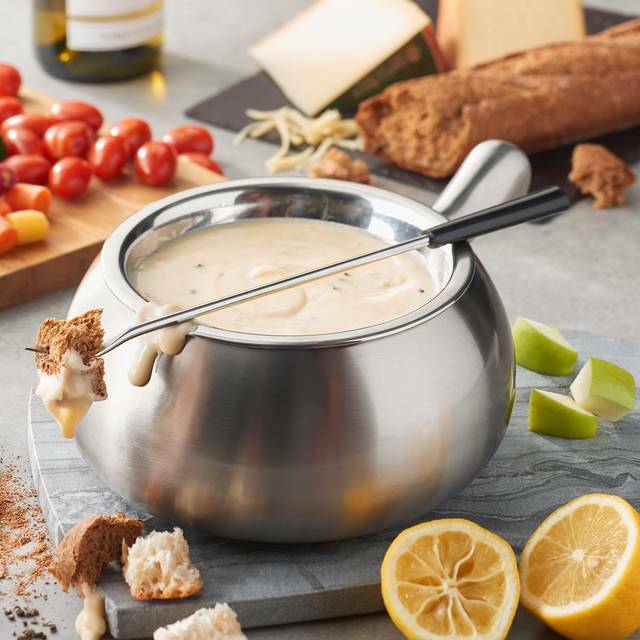 We always enjoy our evenings at the melting pot! Our server made great suggestions for things for us to try to get out of our comfort zone a little bit. And of course, everything was delicious! I was surprised and disappointed that the booth seat cushions were torn up and scratching our legs. They were also no paper towels in the men's restroom, which was surprising since it was very early in the evening. Otherwise everything was fabulous! Great for me and my wife's 5-year anniversary. Made a sculpture out of chocolate for us free of charge and included two chocolate strawberries. Got the romance package and would recommend that to anyone. The food was delicious and the service was great! It is a great restaurant for a date or a family dinner. Everyone can find something they like! First time at a Melting Pot Restaurant. My husband always wanted to go, me not so much. Decided to surprise him for his birthday. We both enjoyed dining here. The happy hour at the bar $5 cocktails were very good, French Martini and a Makers Mule. We chose the four course dinner. Four cheese fondue was excellent, spinach and Caesar salad very good, Classic meat fondue with sauces we cooked on iron skillet were very good and fun to do. The chocolate fondue was delicious with dark chocolate and Tuaca liquor. Service was great, look forward to going again!! Older children would love dining here too!! Terrible service....took 10 minutes to get seated, when there was only one other group of people in the whole restaurant. It took 15 minutes just to order drinks, when there was only 5 other people in the whole restaurant. 45 minutes later, we didn’t even have cheese dip. I went up and spoke to the manager and he was okay with the fact that things weee moving so slow. Told me I’ll make sure everything else comes out fast. Sweet tea was highly over sweetened, so I asked for a coke and my daughter liked the sweet tea she ordered, so the waiter was like I just fill hers up with yours. My whole house has been sick and I drank out of that cup. I told him I preferred new drinks rather than reusing my drink for my daughter. The teriyaki sirloin was so chewy and he forgot to put the crunchy stuff in the original chocolate. Lettuce on salad looked really old and didn’t taste of look right. Service was slow and unprofessional for a high end restaurant such as this. Emma was all you could ask for in a server. Attentive, knowledgeable, and courteous, she was there on the spur of the moment to do whatever was required and to answer questions. The pot of really hot oil sitting in front of a person who is trapped in a booth is slightly unnerving, especially to a former accident investigator. Strongly recommend no small children. Food was OK but overpriced. We were there for over 3.5 hours. We had a reservation and had to wait 20 minutes to be seated. Our server would disappear for 30 minutes or more at a time. Our oil sat turned on for 30 minutes before our meat came and then our meat burned instantly because the oil had gotten so hot. We usually have a great experience at Melting Pot, but this trip was disappointing. Abysmal experience. Sat for 30 minutes waiting for our waiter who was completely uninterested in serving us. After a half hour we got up to leave and I doubt he even noticed. They weren’t even that busy. So called manager tried to apologize but he didn’t seem too into his job either. This place will be closed before too long. 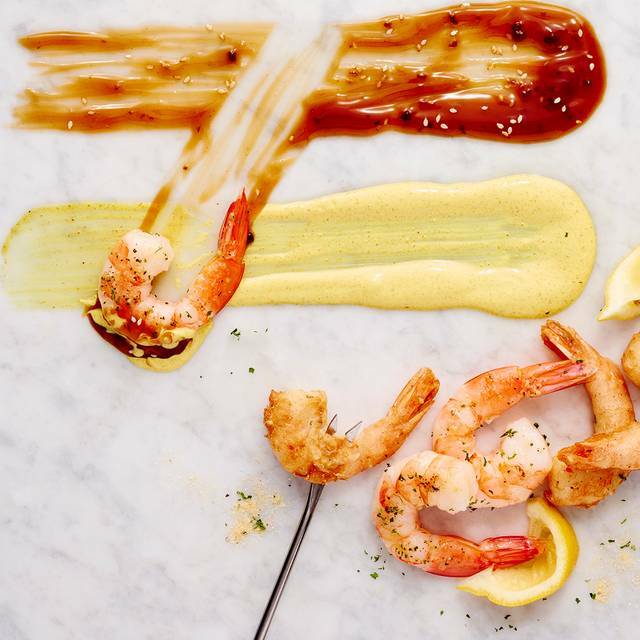 Every restaurant in the city has better service than Melting Pot. It’s a shame because this used to be a great place to go. Payton was very patient with us and made us feel very welcome as this was our first time going to The Melting Pot. Aaron was very professional and checked in on us to make sure things were going well. We had a great time and will definitely be back! I love this place! However, my last visit wasn't as good as past visits. My only complaint is I specified I needed a gluten free menu when I made the reservation. They acknowledged it at arrival, so I was a bit disappointed when all they had for dessert was gluten free rice krispies treats. I would have been more understanding if they weren't made aware of it ahead of time. Again, I love this place and appreciate that they have gluten free options available. I was just a bit disappointed. I wish I could say it was a great experience, however, we had a person in our party that uses a walker and the waitress tried to seat us to the back of the restaurant. We told her we had never been there before and she did very little to explain how the process worked and that we might want a table with two burners, so we had to switch tables. The food was good but I really do believe a little pricey for what you get. We had Emma as our server, first time we've had her and she was fabulous. It was my friend and I birthday celebration. She came down from Mississippi. Each course was great. It was so nice that we could spend time laughing and catching up without feeling rushed or pressured to leave. Our server was a doll and check on us but never hovered and gave us room and privacy. It was a wonderful place to celebrate our birthdays and friendship. Recommend to everyone. What a wonderful time. Service was disappointing from the very beginning. The woman at the greeter desk was rude and dismissive upon check-in for our reservation. I have no idea how she has a job. She barely said two words to me, did not welcome me, and did not say anything about when we would be seated. We were finally seated over 10 minutes after our reservation time without a word from the staff as to why they were late. Over half of the tables were empty so I have no idea why. At the table - We do like to take time to enjoy our meal, but our server was extremely slow and would forget to bring things that we requested such as more water. Took over 2 hours to get all 4 courses of our meal. I expect more at this price point. Our experience was horrible. The server even said she "knew that service had not been good" when she brought the check. I have been to Melting Pot numerous times before and this was the worst. A table that set down with another couple, 20 minutes after us, stayed ahead of us the whole time. They had a different server. The cheese was brought to the table, she did not preheat the burner nor mix the ingredients at the table. She set down cold cheese mix and left. Our drinks were empty and we got no refills. We were not offered refills for the cheese. Our server came to get it and had someone set down the oil for our food. She dropped off the salad. Still no drink refill. I also did not like the dressing but she never came back for me to swap it. The oil began popping badly to the point we were moving back away from it. It even started to darken. Another server came and grabbed it saying it must have water still in it from not being dry. The other server brought a new one out. We waited forever for our entree and when it finally came and I explained about my salad, she just took it up. My husband ordered the endless entree but because she was not coming back to our table to even check, he didn't get to enjoy it. The Panko shakers lid was loose and spilled all over the table and food. I told the server and said, no worries, we would clean it before chocolate. The dippers were the equivalent to the normal refill plate. When we did get a refill, she brought literally 1 brownie bite, 1 pound cake bite, 1 banana slice, and 1 marshmallow. Our drinks were empty again. She finally brought the drinks with our check. Made the comment about knowing it was not good service. Waited nearby and when I put my card in the check, took it and came right back. It was our long awaited date night (we have 4 kids, one with special needs so date night is a big deal to us) and it was not good at all. I typically enjoy Melting Pot and the experience. This was not what I expected and a waste. We’ve had the same waitress twice in the two times we’ve been and she’s just horrible. No personality, barely acted interested and wasn’t attentive at all! The cheese is no longer made at your table at this location. It’s made in the kitchen and brought to your table luke warm although our waitress tried to argue with us and tell us it was made to order and it was hot. We had to turn up our burners to get the 2nd pot to melt the glob of cheese presented to us. Barely any vegetables and the meat selection has dwindled in size. Just very disappointed in the melting pot and it ruined the whole experience. Not going back to that location ever again! The service was great. The quality of the food was great. The server was very knowledgeable and attentive. It was a very nice experience. The food was seasoned very well and it was worth the price. The wait staff and managers were all very helpful and kind. Our only downside is that the experience took about 3 hours and we got our dessert fondue to go. If you’re looking for a quicker experience (like the typical hour it takes to go to a Resturant) then try elsewhere. If you are ok with sitting there that long then this is the place for you. I’ll definitely go back though. It was freezing cold, the staff did not acknowledge my daughter's birthday!!! I was totally disappointed in the waiter, he was not knowledgeable about the menu, he tried to charge full price for my granddaughter that is 7 and was not eating anything except a salad and some fruit with chocolate. Will not go back to this location. I will try the one in Mobile in the future. Renatta was amazing! Best service we have had from any server at any restaurant in Pensacola! She was very helpful in guiding us to the right choices and so patient with us! Best server ever! Anthony, and the food were amazing! We will definitely be back! We have been several times to the Pensacola location, the service was always outstanding! This time the bad service started at the bar, the bartender had to look up how to make your house drinks. When it was time to cash out she was nowhere to be found. Then we got to our table and it took awhile for us to even get water. Sydney was our server and she said they were backed up in the kitchen. At one point we had out burnt cheese pot, dipping plates, the plates from the drippers and empty glasses piled up with a pot of vodoo steaming down to nothing. We sat at least 30 mins with the broth steaming before our meal came. The hostess seemed rude and just off. Not thrilled to be working. Ther server was sniffling every time she brought our food and drinks out. We barely saw her and didn’t get refills on drinks. We always come to the Melting Pot and this was a horrible experience. Overpriced for the quality of food. Slow service. Dirty bathrooms. Waste of money. We've always enjoyed melting pot and our valentine's dinner was a lot of fun. It's an experience as well as a meal, so you're paying a premium for that. But for special occasions we think it's worth it. Wonderful evening with meticulous service! Romantic and intimate. Just the right amount of food. The attention to detail makes this one of the best restaurants in Pensacola!